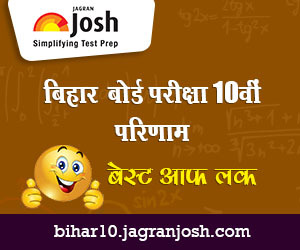 The Bihar School Examination Board (BSEB) will be announced Bihar Board Class 10th Result on 20th June 2015 around 3:00 PM, Students can check their results online on biharboard.ac.in, www.biharboardresults.net and http://bihar10.jagranjosh.com. The students who appeared for the Secondary Class 10 examinations will be available on the official website. Download PDF for future use. The students could also access the results updates through SMS and Email to register on http://bihar10.jagranjosh.com with their respective mobile and email id. The Bihar School Examination Board was established for prescribing the course of studies for such secondary school examinations and for carrying out other duties which are considered necessary for this purpose as stated in the Rules and Regulations of the Board Act. The board conducts annual secondary school examination in the months of February/March and supplementary school examination in the months of August/September in accordance with the curriculum prescribed by the state government.